What does Feeney the Faceless Man know? With Martin Ferguson’s recent retirement a bunfight has erupted for his old seat of Batman. Batman is recognised as Labor’s safest seat in Australia, with Labor holding the seat at the last election with a margin of 25%. In today’s political environment, this is tantamount to rolled gold for the preferred Labor candidate. Whoever gets the nod is almost guaranteed a seat in the new parliament after the September election. They might even get to be the driver of the Labor Tarago post September. So who is shaping up to get the golden nod? 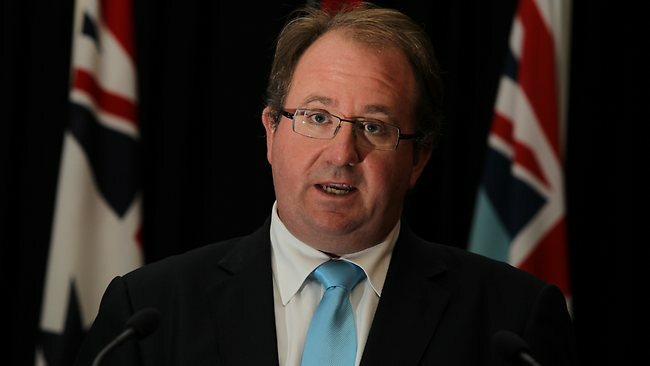 The front runner at the moment is Senator David Feeney. Feeney is already a Senator but he is likely to lose his Senate seat as he is currently listed as the third candidate on Labor’s Senate ticket. As a result, Feeney has put up his hand for the Lower House seat and has been backed in by non-other than the Prime Minister, Julia Gillard. This is where things start to get a bit weird. You see, Gillard Cabinet ministers Jenny Macklin, Penny Wong and junior minister Catherine King have publicly backed the need for Labor to select a woman for Batman, which really puts them at odds with Gillard. Macklin was quoted recently saying that the ALP was failing to meet its rules that required 40 per cent of candidates in winnable seats to be women. …I am very concerned that if a woman is not preselected for Batman, the ALP in Victoria will have only 27 per cent of candidates in held seats who are women. This is well short of the 40 per cent required by the national rules. It does not reflect the depth of talented women in Australian society today – women who should be encouraged and supported to take up the opportunity to represent their community. Where does this 40% quota come from? It comes from Labor’s contentious 40/40/20 rule, which is a direct policy platform of EMILY’s List, the progressive feminist group that has provided Australia with the cream of female politicians over the past 20 years. Politicians of calibre such as Kate Lundy, Tanya Plibersek, Penny Wong, Jenny Macklin, Lara Giddings and Julia Gillard are all products of EMILY’s List, as were failed Labor Premiers Carmen Lawrence, Anna Bligh, and Kristina Kennelley. 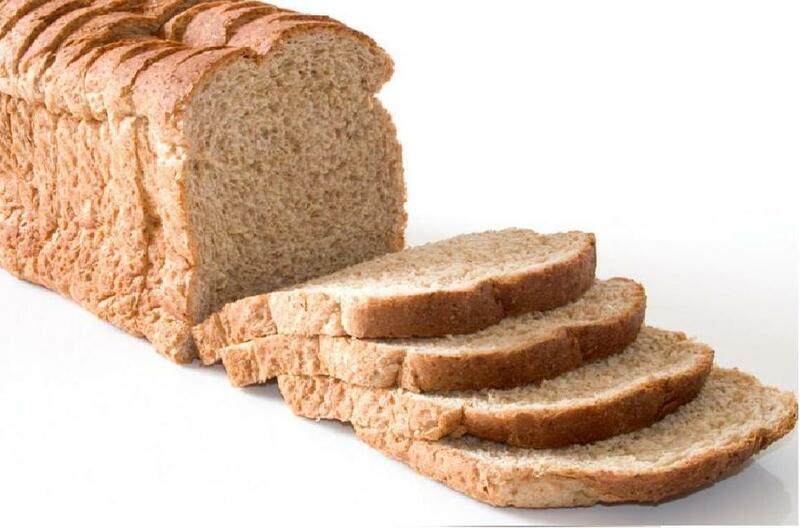 EMILY is an acronym for Early Money Is Like Yeast, as it makes the dough rise and apparently this is directly translatable to women in politics. Get in early and watch them rise to the top. EMILY’s List Australia was started in 1996 by the infamous and lamentable Victorian Premier, Joan Kirner, who reportedly was apoplectic when Julia Gillard had failed to win pre-selection twice in the early 1990’s. In order to secure Gillard her treasured spot in our illustrious Parliament, Kirner created EMILY’s List Australia and for the first nine years of EMILY’s List Australia’s operation, Joan Kirner was CEO. Soon after the establishment of EMILY’s List, Gillard finally gained preselection in the Labor safe seat of Lalor and as they say in the movies, the rest is history. Except it is history a great deal of people know very little about. While Julia Gillard is EMILY’s List’s most famous product, it is extremely strange that she is not backing a woman, especially one of the Sisterhood™ for the safe seat of Batman and even more so considering Labor’s Left faction openly canvassing that they may possibly pursue a complaint with the party about the failure to meet the target. If that complaint were to be upheld the party rules say there must be a spill of every seat’s preselection in the state, including the Prime Minister’s. So why exactly is Gillard backing Feeney if it goes against Labor policy, flies in the face of her beloved EMILY’s List core beliefs and puts her hold on her own seat at risk? Apparently Gillard considers Senator Feeney a strong and loyal ally who has performed well. Particularly since he was one of the faceless factional leaders involved in overthrowing former prime minister Kevin Rudd in 2010, helping Julia Gillard rise to the prime ministership. So it would seem that because of this Feeney has Gillard’s backing and remains firm favourite for the seat. However, Michael Smith, the 2UE broadcaster who lost his job because of his pursuit of truth in the AWU scandal, thinks it is not just Feeney’s support of Gillard in the Night of the Long Knives that holds the key to this Machiavellian style pre-selection mystery. Let’s see what Michael has to say in his recent post – David Feeney, Julia Gillard, Emily and her list. It’s not who you know, it’s what you know about them – because it makes for very interesting reading indeed. Victoria Police is investigating who got what from the AWU WRA slush fund. Very serious charges await people who knowingly enjoyed the financial and taxation benefits from that well structured slush fund, which was created using the best legal advice money can’t buy. A reasonable person would think it quite likely too that an incoming Coalition Government will commission an enquiry knto the AWU Scandal with powers to compel people to give evidence. That enquiry will have powers the police don’t. It is always good to know that there are people on the same page as you if the Sheriff comes a-summonsing. David Feeney has no affirmative action equal opportunity disadvantaged feminine LGBTI or skin shading issues to give him the nod for pre-selection for the safest of safe seats, to rebalance Martin Ferguson’s nonPC white maleness. David’s just a normal pudgy former union official white man who knows where the bodies files are. The Emily’s Listers will be a bit list-off to see that their gel, the first gel PM, has annointed a mere male to take over from the previous holder who was also merely male. After Wayne HEM put $5,000 forgettable into Ms Gillard’s bank account, and after Bruce Wilson had “just decided while I was away that I should have my home renovated so he just id it” and after Kon Spyridis had made such a racket at the office looking for money – well, along came the Knight in Shining Armour David Feeney to help to record the correct version of history. David Feeney is named 6 times by Ms Gillard in the Record of Interview with MD Peter Gordon on 11 September, 1995. David Feeney was a central figure in Ms Gillard’s claims that she paid for all her own renovations. Here are the 6 Feeney “grabs” from the record of interview, then I’ll publish the whole of the section for context. The speaker is Ms Gillard, 11 September, 1995. David Feeney, who is an official of the Transport Workers’ Union, had raised it with Andrew with the specific intent of Andrew raising it with me and David was happy for me to talk to him about it. Obviously, it accords with what David Feeney has told me that he was sent away by the AWU and without explanation an account from Con was put in my letter box last week, so that’s the first account that I’ve had from him. I’m making arrangements to get the $1780 together to pay the rest of it. I have suggested to David Feeney that I think the way forward in relation to this is for me to simply meet with Bob Smith at FIME and say someone came here looking for payment of an account. The information from David Feeney is that Bob Smith doesn’t believe that I am at fault in relation to this. He has got no agenda about damaging me in relation to this or using it against me, that he will be quite happy to see the issue go away, and that he thinks that Bob will respond well to a direct discussion like that. Sorry Emily, when it comes to historic appointments, you can’t compete with David’s grip on a little piece of Australian historic gold. It’s not who you know, it’s what you know about them. Well, as Michael outlines in the rest of his post and indeed nearly his whole blog, Gillard’s motives are not what they seem and are somewhat murkier than most would imagine possible for someone holding the highest office in the land. A union slush fund, a corrupt union conman and a shonky Labor lawyer, nearly $1 million dollars fraudulently obtained with the help from a dodgy Power of Attorney, supposedly witnessed by one J.E.Gillard, past and current Slater & Gordon MD’s and a couple of dodgy Union officials in Feeney and Shorten running interference to stop things coming to light, then and now. All of this fleshes out a story that continues to this day, despite the best efforts of Labor power brokers with too much to lose and many in the Left leaning mainstream media all trying to just make it all go away. 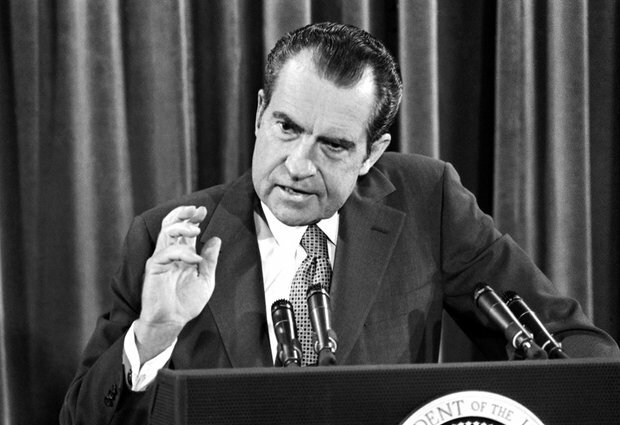 They said of Nixon and the Watergate scandal that brought his Presidency to it’s knees that it wasn’t the crime, but the coverup that eventually brought him unstuck. Gillard’s cries of “I have done nothing wrong” sound eerily similar to the disgraced Nixon’s cries of “I am not a criminal“. With the factional vultures with an axe to grind circling and the Victorian Police investigating, this story might just well be coming to an end. From little things big things grow. Much like yeast in bread dough.